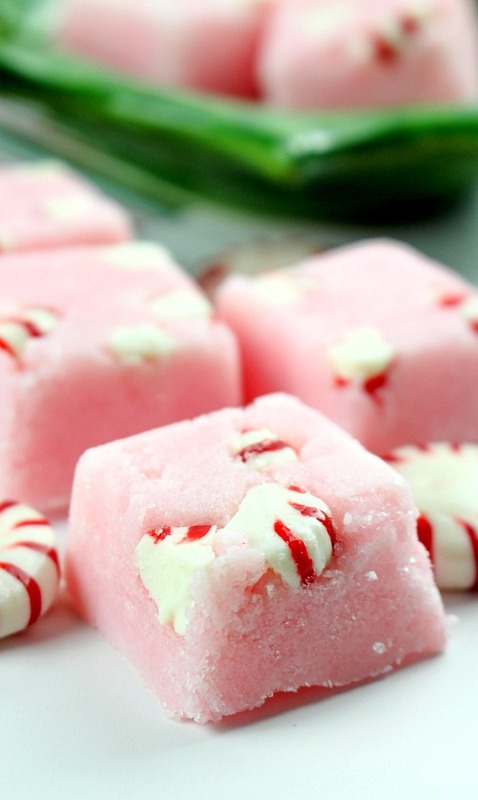 DIY Peppermint Sugar Scrub Cubes. The closer the holidays get, the more I start thinking about hot chocolate, Christmas cookies, and candy canes! 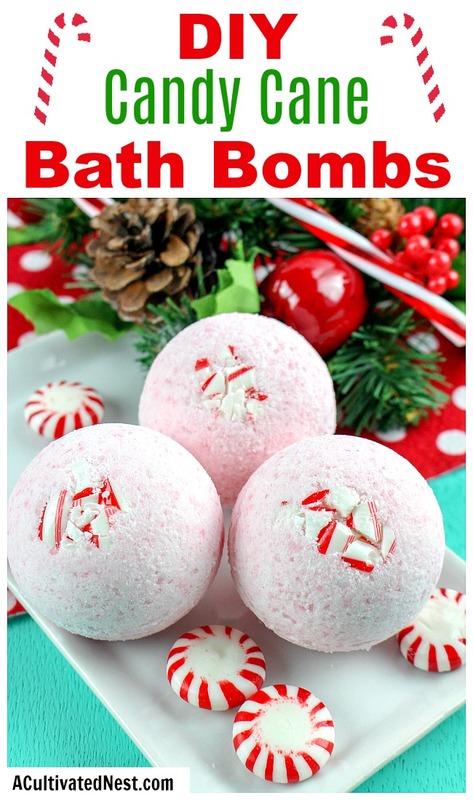 While all of those would make great DIY sugar scrub inspiration, I’ve been really into candy canes since I made my candy cane bath bombs. 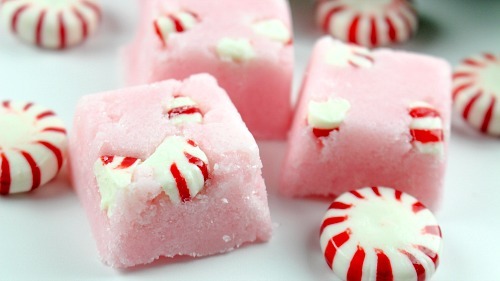 So I decided to make another luxurious candy cane themed homemade beauty product- DIY Candy Cane Sugar Scrub Cubes! These make awesome DIY gifts! 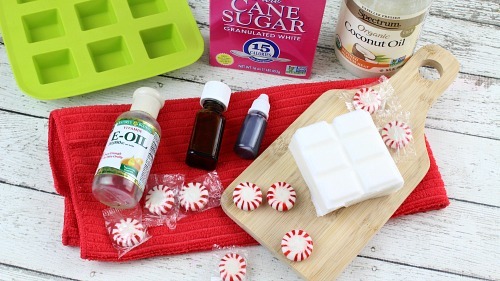 I think that pairing these DIY candy cane sugar scrub cubes with my homemade candy cane bath bombs would create the perfect gift combo! 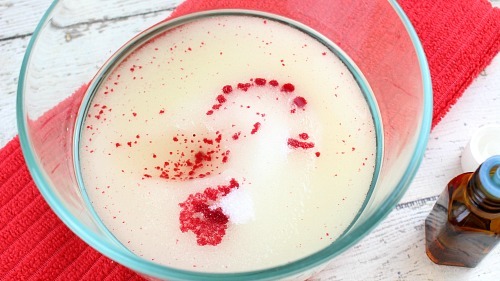 Or just make them for yourself to enjoy this holiday season. 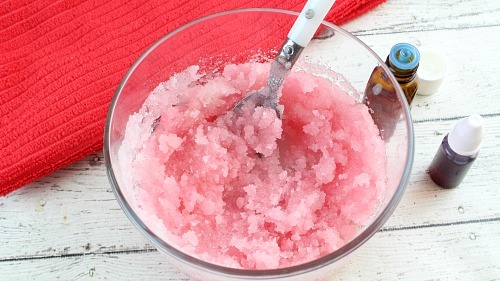 I especially like to use my homemade sugar scrubs during the winter because the cold winter air dries my skin out fast. But with DIY scrubs like this, I’m able to keep my skin healthy and shining all winter long! 1. 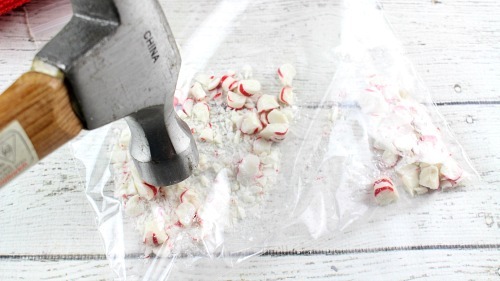 Place the candy canes/peppermints in a plastic bag and crush with a hammer or rolling pin. 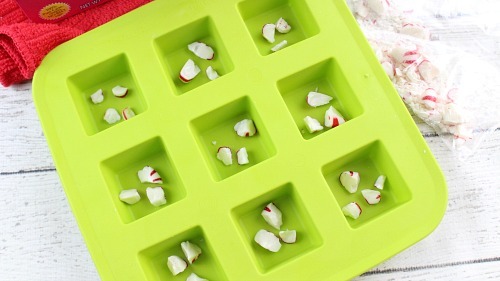 Sprinkle 1 teaspoon of the crushed candies into each separate silicone cube. Set aside. 2. Place the sugar in a medium mixing bowl and set aside. 3. Add the coconut oil to a small mixing bowl. 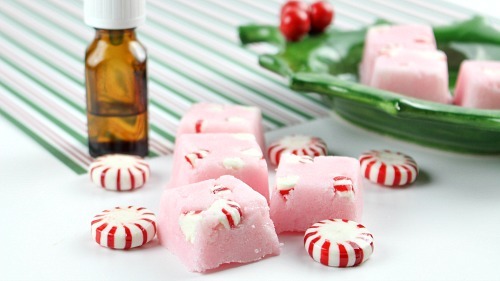 Mix in the peppermint essential oil, Vitamin E oil and red soap colorant. Pour on top of the sugar and stir well to incorporate. 4. Add the Shea butter to a microwave safe bowl and microwave on HIGH for 30 seconds or until the soap is completely melted. Remove from microwave and stir. 5. The next step is to pour the melted soap into the sugar mixture and stir quickly to mix. 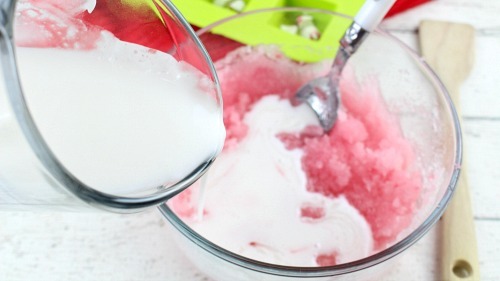 Once you mix the soap with the sugar, it will harden pretty fast so you need to complete this step quickly. 6. After you mix and stir, transfer immediately to the silicone mold, filling up to the top of each cube. Press down firmly with your fingers. 7. Chill for 1 hour. 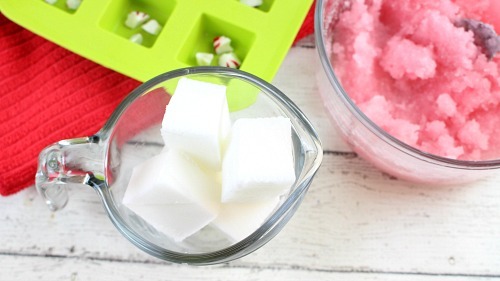 Once chilled, gently pop the candy cane sugar scrub cubes from the silicone mold and store in an airtight container. 1. 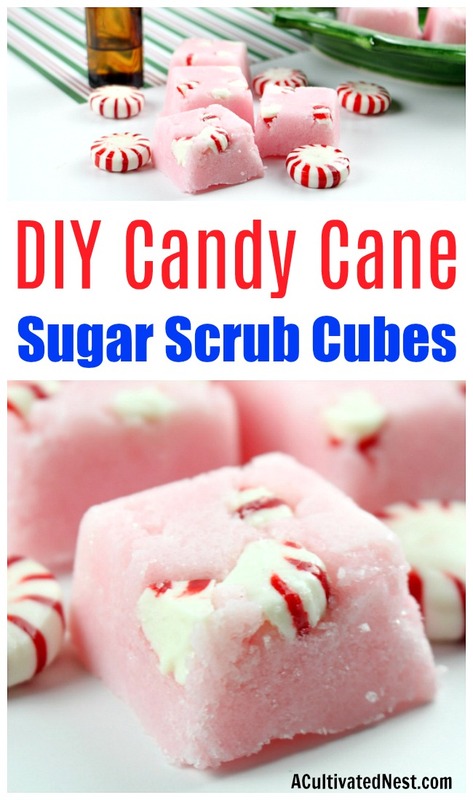 Bring 1-2 candy cane sugar scrub cubes with you into the shower or bath. 2. Rub the sugar cubes on wet skin in place of a sugar scrub. The sugar will exfoliate and the Shea butter and coconut oil will soften and moisturize your skin. Enjoy the uplifting and energizing aroma of peppermint! 4. 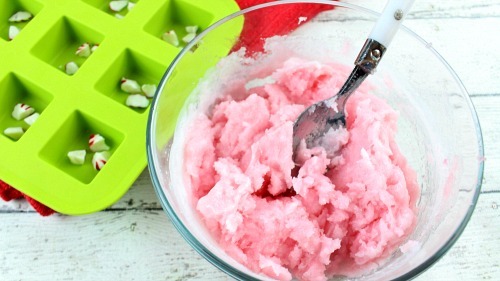 Apply your favorite body moisturizer (why not try one of our DIY body butters?). Then enjoy having shining, beautiful skin! 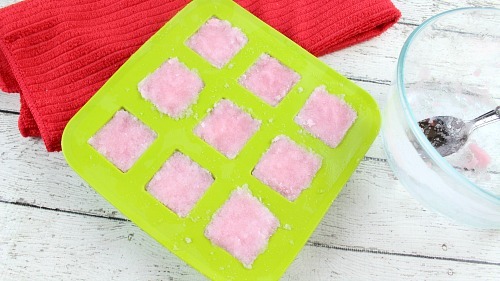 Have you ever used a sugar cube scrub before? Do you prefer them to loose sugar scrubs?